"Leaving behind memories of her late husband, Benni Harper is making a fresh start...Moving to the trendy California town of San Celina, she takes an exciting new job as director of a folk-art museum. 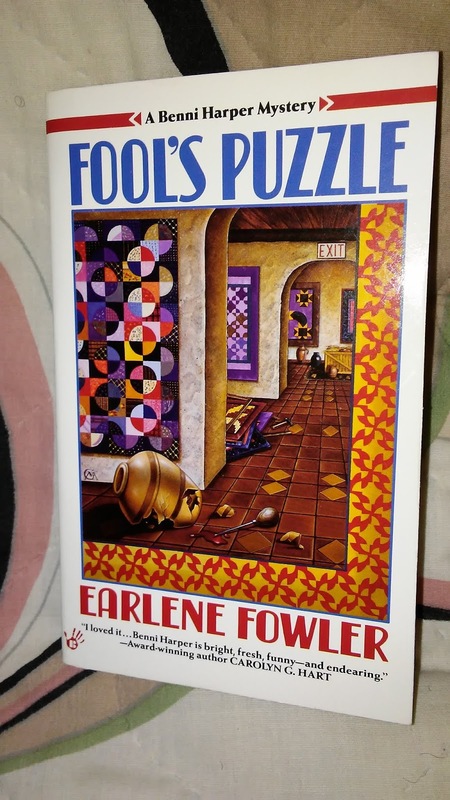 While setting up an exhibit of handmade quilts, she stumbles upon the body of a brutally stabbed artist. Hoping to conduct an investigation on her own, she crosses paths with the local police chief, who thinks this short and sassy cowgirl should leave detecting to the cops and join him for dinner. But it's hard to keep a country girl down, and soon Benni uncovers an alarming pattern of family secrets, small-town lies--and the shocking truth about the night her husband died..."
The minute I finished the book and marked it as READ (two stars) on Goodreads. Using my phone, I wrote this about the book just to "get it out". Started out with a fair amount of promise, but devolved the further it progressed. 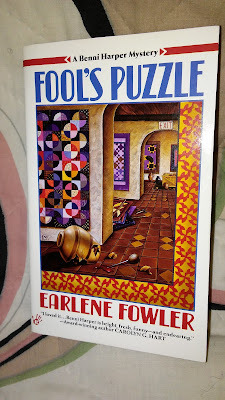 All the excitement of a cozy mystery with a quilting and folk-art hook was removed and flushed early on. Instead the focus was on a MC who was not only boldly immature, but adolescent-level illogical in her reasoning and investigative prowess. It did not make her cute. It did not make her relatable. It made her unreliable and irritating to be around during the experience. Further frustration with the story arrived when the author kept (and I mean KEPT) insisting on ushering in a romance between her MC and a moody cop. Cliches. Cliches. Cliches. I kept rolling my eyes, as it was all so desperate to the point of nausea. Yes, there was a mystery. Yet, apparently, the mystery wasn't the book's real point. It just so happens I bought the second book in the series for a dollar the other day. She's getting one more shot, dude.